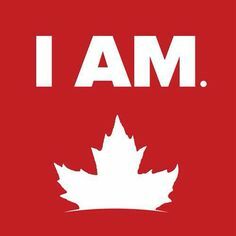 Happy “unofficial” 150th Birthday Canada! I say unofficial because it’s important we acknowledge the hundreds of years, (possibly longer,) of First Nations history that shaped Canada long before the age of colonialism. This is a beautiful and strong country; one which continually shapes our day-to-day lives. However, lets not all jump on the Canada 150 bandwagon – we are a large nation – “the true north strong and free,” but that strength and freedom have come at very steep prices. Those prices have been paid largely by our First Nations Peoples and by those who were promised citizenship in exchange for their slave labour. The price has been paid through the cultural genocide called the residential school system, the building of the Canadian railways and the movement which kept slavery alive and well in this country. It’s a price paid by every woman who earns less than men for the same work. By those who are persecuted for their beliefs, skin colour, creed, gender or orientation. Or by those for whom accessibility options are the only options. If we are going to jump on this bandwagon, let us, at the very least, acknowledge we have much farther to go before we can call ourselves united. When our own citizens are dying of hunger in the north, whilst the south partakes in gluttony, we cannot call ourselves advanced. Nor settled. When people have to live on the streets or in tent cities because those are the only safe options, much needs to be done. Yes we have issues- the very crux of which need to begin with dialogue and reconciliation. We are not a nation who is turning 150. We are a nation who are acknowledging, rather ironically, that we are celebrating 150 years of a coast to coast railway that made us into the federation we recognise today. Yes we lead the world in many things. We are great with science and technology, peace keeping and peace building. We are great at poking fun at our Québécois and voting people into and out of office based solely on spite. We are also fantastic at not being American. Yes we have poutine, bearclaws, healthcare, free air conditioning (arctic downdrafts) hockey and brew. We even have music, other sports and we love to ski and snowboard. We say sorry, please and thank you. We know we are not the only citizens on the planet. We are diverse and welcoming. We live in one of the most amazing places in the world and many of us believe in taking care of our land. So if we are going to jump on the Canada 150 bandwagon, let’s do it with integrity. Let’s admit that Canada is, was and always has been Kanata. And we “have miles to go before we sleep.” But at least we’re on the same road.